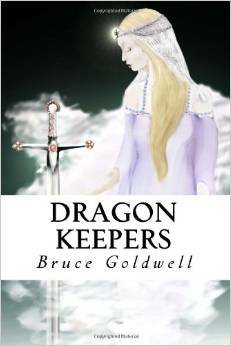 Bruce Goldwell released the first book in the Dragon Keepers in 2005. For Christmas 2014, he will be releasing Book V.
July 9, 2014 - PRLog -- Since the release of Book I of Dragon Keepers in 2005, it has received 20 Five star reviews. Goldwell gained a group of fans after the release of his first book which encouraged him to write books II, III and IV of the series. SIx books is the goal Goldwell set for the number of books in the series and he is determined to reach his goal. He plan is to release the Fifth installment of the series before Christmas 2014. "Dragon Keepers is not just a story but was something I was inspired to begin back in 2005", Goldwell stated. "I was homeless at the time that I started the series and I wanted a way to share some new principles I had learned too late in life on how to go after ones dream. I was swayed in my younger years and gave up on my dreams to takes jobs that I didn't like but that paid the bills. Due to health issues, I eventually couldn't get work anymore and eventually ended up on the streets living in alleys. Then I started going to book stores and reading every self help book I could get my hands on. I wished I had learned the things I read in those books when I was young so I would have continued to pursue my dreams rather than take the easy rode which merely lead to a survival mode. God gives all of us talents and when we abandon the talent for something else, the outcome can't be what we want in life. If we abandon what we want to do inside, the outcome can never be something better. I began writing Dragon Keepers as a way of inspiring young people to dream and dream big. I wanted to inspire them to go after their dreams. The fantasy adventure of Merlin the Magician called Dragon Keepers has been my way of sharing some guiding principles that hopefully will encourage readers to go after their goals and dreams." Goldwell has created a Trilogy (the first three books under one cover) to make it easy and a little more affordable for book buyers to read the series. The price of the Trilogy is the same as just one of the individual books in the series. It is like buying 3 books for the price of one. Goldwell has made the Trilogy available in the hopes of gaining new fans and as a way letting fans know that Book V is coming soon. NOTE FROM BRUCE GOLDWELL: Bloggers and others have permission to reprint the above information on their sites. Please be sure to direct readers to the Amazon page for the Trilogy when reprinting.